Passionately serving schools, businesses, and individuals across the nation. Create your custom design or upload your art and play! Start by creating an account so you can save and access your designs. 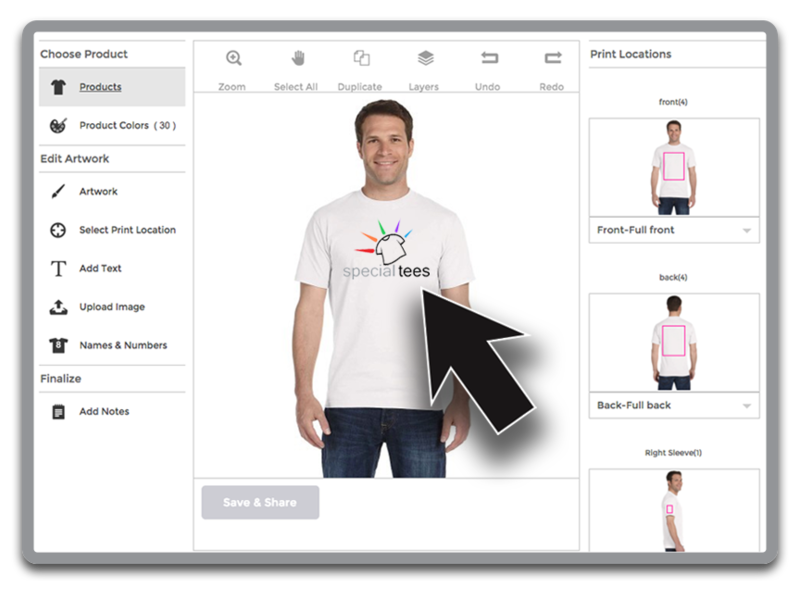 Become a friend of Special Tees. Join our mailing list and instantly receive a coupon code for $10 off your first order, plus other special offers.